Washington, D.C. (April 15, 2016)— Since 1996, The ALS Association and the American Academy of Neurology (AAN) have proudly presented the Sheila Essey Award for ALS Research to acknowledge and honor those who are making significant contributions in research for the causes, potential treatments, and a cure for ALS. This year, The Association and AAN are very pleased to honor Professor Ammar Al-Chalabi for his major contributions to the understanding of ALS and the search for new therapies to treat the disease. Dr. Al-Chalabi will receive the 2016 Sheila Essey Award at the American Academy of Neurology’s 68th Annual Meeting in Vancouver, Canada from April 15 - 21, 2016. The AAN Annual Meeting is the world’s largest gathering of neurologists, with 12,000 attendees and more than 2,700 scientific presentations on the latest research advances in brain disease. The $50,000 prize is given to fuel continuing ALS research. “I am very honored to receive the Sheila Essey Award and I am grateful to my research team and colleagues who make our ALS research possible,” stated Dr. Al-Chalabi. 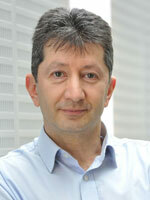 Dr. Al-Chalabi, Ph.D., FRCP, DipStat is a Professor of Neurology and Complex Disease Genetics at King’s College London, where he is also director of a highly regarded and the largest ALS clinic in London, called King’s MND Care and Research Center, that is at the forefront of ALS research. He is known as a world leader in ALS research and the complex genetics of sporadic and familial ALS. Over the course of his illustrious career, Dr. Al-Chalabi has received many prestigious awards as well as a Medical Research Council Clinical Training Fellowship working with Nigel Leigh, M.D., on genetic risk factors in ALS. In that position, he set up one of the first DNA banks in ALS research, which is connected with a clinic database that carries clinical information extending more than 20 years. He went on to obtain his Ph.D. at the University of London and was the first recipient of an international competitive prize, the Charcot Young Investigator Award for Outstanding Research into ALS. In addition, he received a Medical Research Council Clinician Scientist Fellowship to take his genetic research further, including a year in the laboratory of Dr. Robert Brown at Massachusetts General Hospital (MGH). Recognized as one of the world’s top clinician scientists organizing large-scale genome wide scans in ALS, his prowess in complex genetics of neurodegeneration is exceptional. While at MGH, Dr. Al-Chalabi completed a genetic linkage study that demonstrated the possibility that ALS and frontotemporal dementia (FTD) could stand as a single disease. This study also found a signal on chromosome 9 that would later reveal itself as the C9orf72 gene mutation, the most common genetic cause of ALS. He subsequently led an international genome-wide association study that narrowed the list of possible ALS genes on chromosome 9 to just three, which directly led to the discovery of the C9orf72 expansion mutation. Dr. Al-Chalabi has established long-standing collaborations with most of the world’s major ALS genetic research centers and succeeded in obtaining significant United States and European Union funding to lead two multi-national ALS research consortia. It is a high accolade that he has been invited to lead the Cold Spring Harbor course in complex genetics for several years. He contributed to a national MNDA and Wellcome Trust Fund supported DNA Bank and Epidemiology project that led to a nationally-funded ALS population register. In addition, The ALS Association has funded him for several studies including the ALSoD, an ALS online genetic database. He also currently serves as a judge for the Assistive Technology Challenge and has been a reviewer for The ALS Association Clinical Management research grant program. The Sheila Essey Award is made possible through the generosity of the Essey Family Fund through The ALS Association Golden West Chapter for over 20 years, and was created in memory of Sheila Essey, who battled ALS for 10 years and died in 2004. 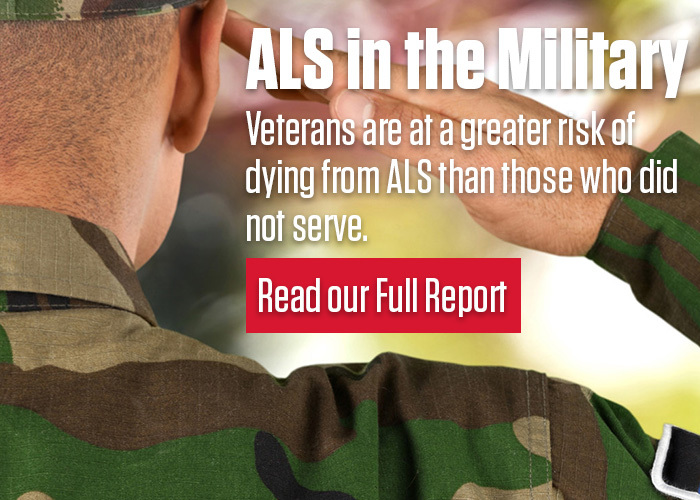 Richard Essey, Sheila's husband, served as a National Trustee of The ALS Association and is one of the founders of the Greater Bay Area Chapter, now the Golden West Chapter. Past recipients have used funds to continue their ALS research or to support promising young scientists on their research teams.